Miami student planners learn best by doing, and local communities often need planning assistance. These realities came together in a recent project in the Lindenwald neighborhood of Hamilton, assisting community-wide revitalization. With a joint collaborative effort from a group of students and members of the neighborhood community council People Reaching Out To Others; Celebrate Our Lindenwald (PROTOCOL), Lindenwald has begun to turn over a new leaf. Through mutual connections, professor of geography David Prytherch's advanced urban and regional planning class connected with the City of Hamilton to collaborate with PROTOCOL to undertake the project of restoring Lindenwald. "Our challenge was to engage students and residents to take part in their community planning by directing programs, projects, and events in order to create safer, cleaner, and independent communities," said Prytherch. "Not coincidentally, our staff contact in Hamilton was a Miami planning alum: associate planner Daniel Tidyman." After several meetings with Hamilton's planning department, the students — calling themselves Miami Advanced Planning (MAP) — met with community members, economic developers, and the city planning department to create a constructive plan and vision for the revitalization of Lindenwald. The Lindenwald project is part of a city-wide initiative that began in 2012, when new city manager Joshua Smith set out a strategic plan to change the city by instituting a "Sense of Place." Frank Downie, who has headed PROTOCOL since 2011, and his peers sought out 17 resident led community councils from each of the 17 neighborhoods, where they were given funding by the City of Hamilton to help their neighbors develop their own "corner of the city." 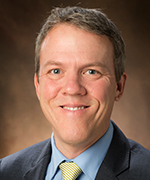 "We have already worked with several professors and students at Miami University Hamilton and have utilized their volunteer base in several of our efforts," said Downie. Lindenwald residents who have fond memories of the way their neighborhood once was recalled how it was often referred to as a thriving "city unto itself" — filled with sustainable businesses, popular restaurants, professional practices, clothing stores, quaint mom & pops, and many more successful, small-town economic ventures. 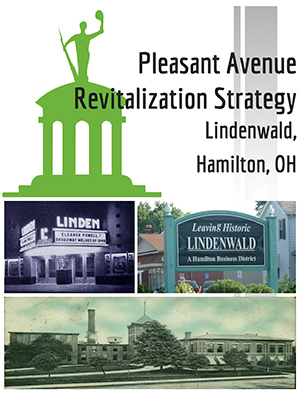 "With economic changes in Hamilton and surrounding cities, local businesses and Lindenwald's Pleasant Avenue suffered," said Prytherch. "My city planning MAP class wanted to help to restore this vision and also make the neighborhood somewhat of a local destination." "Our group believed in the potential of Lindenwald and its many historic buildings to make the neighborhood revitalize while connecting it to nearby bike-paths and the downtown district," said MAP member Melanie Murray, a senior urban and regional planning and political science double major. With constant communication and meetings, Prytherch's students, city planners, and prominent neighborhood representatives and advocates came together and started to tackle parts of their plan, such as economic development, community vibrancy, and existing streetscape. "As the saying goes, 'Rome was not built in day' — so goes the revitalization of the Lindenwald neighborhood," said Prytherch. "Some of the major projects will take time to build, but with the help and support of the community, the process will move more smoothly." "Some of our changes were implemented and others will take time," Murray added. "The neighborhood has a huge and very involved community network that will help shape it as new opportunities are presented to them. For me personally, I think it shaped my future career goals, and I learned the value of community and government relationships which will remain important for future job opportunities." As for the dynamic relationship between Miami urban planning classes and Hamilton city council neighborhoods, this project is only the beginning, with many more potential community initiatives hoped for in the future. This spring, Prytherch's advanced planning class is continuing its work with Hamilton, focusing on the city's historically African-American Second Ward neighborhood. "I consider Miami a huge asset and welcome community partner," said Downie. "I would absolutely welcome any outreach from staff, professors and/or students to get involved in the revitalization of more of our neighborhoods." The students' Lindenwald Plan is published online as part of the city's Plan Hamilton, helping guide local planning efforts.